Hardaway grew up playing basketball in Memphis for Treadwell High School, where he averaged 36.6 points, 10.1 rebounds, 6.2 assists, 3.9 steals, and 2.8 blocks as a senior and was named Parade Magazine National High School player of the year. He finished his high school career with 3,039 points. Hardaway then committed to Memphis State University (known as the University of Memphis since 1994). Hardaway’s resume speaks for itself when it comes to basketball honors. 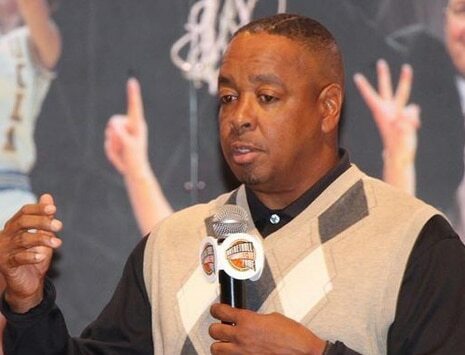 He was the Memphis High School Player of the Year in 1989 and 1990 and was named the 1990 Parade Magazine National High School Player of the Year. In 1990, he was also a McDonald’s All-American. At Memphis State he was the Great Midwest (Conference USA) Player of the Year in 1992 and 1993, and was an All-American in 1993. Hardaway was named to the All-NBA Rookie Team and was the MVP of the Schick Rookie Game in 1994. In ’95 he led his team, the Orlando Magic, to the NBA Finals. He was twice named to the All-NBA first team (1995 & 1996), and won Olympic gold with team USA in the 1996 Summer games. He was a four-time All-Star during his NBA career.